Sandboarding is a great adventure sport and very easy to learn. Your Sidewinder guide will have you carving up the slopes in no time! It’s like snowboarding at the beach! 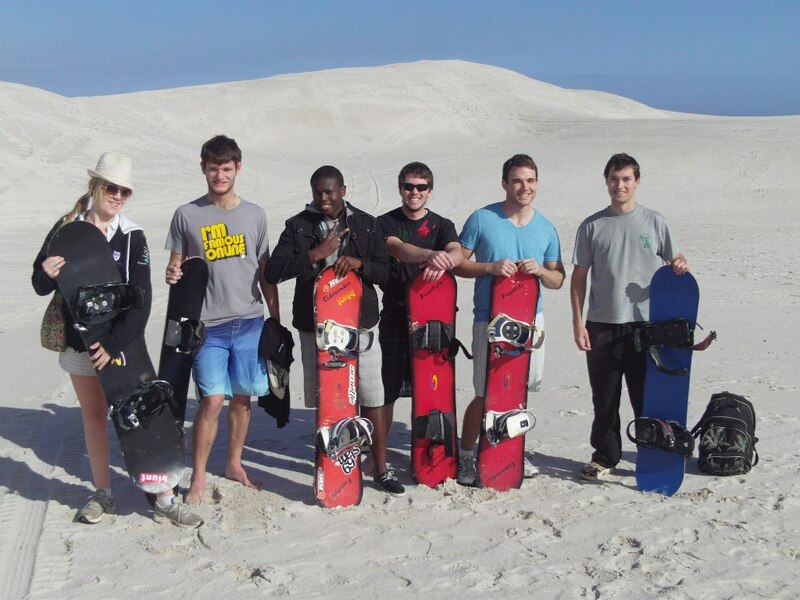 Sandboarding in Cape Town takes place at the awesome Atlantis dune field – a quick 44km drive from the Cape Town CBD. We meet at the dunes and an easy-to-follow map and directions are available. 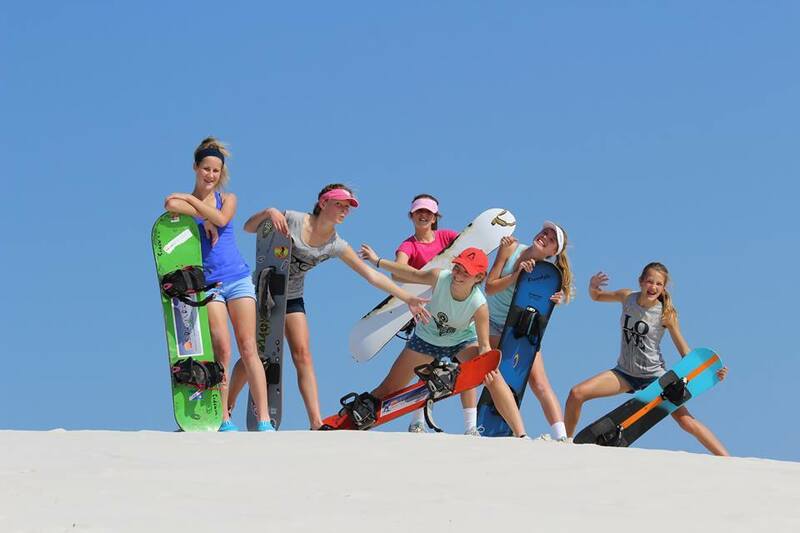 Sandboarding tours to Betty’s Bay are also available on request. 3 Hour tours run from 10h00 and 13h00,any day of the week. Booking is essential! We use only the best custom made sandboards in South Africa. 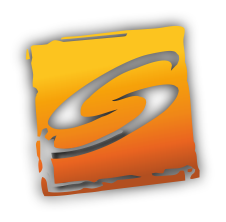 Sidewinder Sandboards is the only brand to have won all major sandboarding competitions. Sidewinder is the board of choice for anyone serious about sandboarding. Safety is paramount and your board will have either professional DAKINE strap bindings or professional snowboard bindings to give you extra control. Professional Sidewinder Sandboards – the top SA sandboard brand. • Snowboard bindings or DAKINE Foot Straps for safety. • Kids boards available on request. • 3 hrs of thrills on the dunes. • Sit down options. • An experienced guide. • All permits for access to the epic Atlantis dune field. The expansive Atlantis dune field is only 40km from Cape Town and is one of the biggest in the Western Cape. 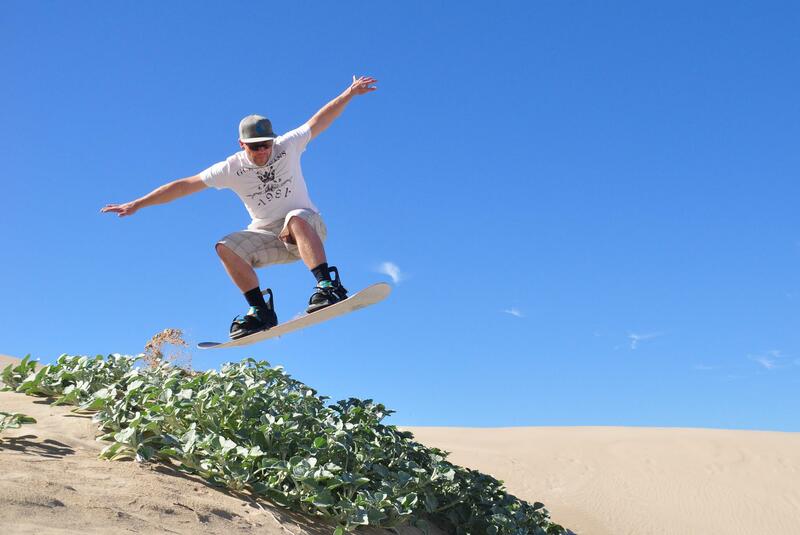 Your instructor, Owner of Sidewinder Adventures and Sandboards and the Current National Sandboarding Champ Dave Rademeyer will show you the fastest way to hone your skills. Tours to the monster dune at Betty’s bay on request. From the N1 (Northern suburbs) – take the N7 towards Malmesbury just past Canal Walk , turn left at the Melkbos turnoff and drive till the traffic light intersection with the R 27 (West Coast Rd), turn right and drive along the R 27 towards Langebaan. Just past Koeberg take a right onto the R 307 to Atlantis. Drive for 3.8km and you will see a gravel car park on your left with a security hut . This is where we meet. From Town – Take the N1 out of Cape Town passed the V & A Waterfront. Take a left onto Marine drive and keep driving. You will pass Blouberg, Tableview and Big Bay. The rd become the R 27 (West Cost Rd). Keep driving along the R 27 towards Langebaan. Just past Koeberg take a right onto the R 307 to Atlantis. Drive for 3.8km and you will see a gravel car park on your left with a security hut. This is where we meet. If you get lost in Atlantis – follow the R 304 (Reygersdal Drive) through Atlantis till the T – junction with Dassenberg Road which is the R 307. Turn left towards Cape town. You will pass a big power station on your left, keep driving till you see a gravel car park on your right with a security hut. This is where we meet however there are 2 entrances so make sure you are at the right entrance by asking security.